Ragi is one of my favourite grain. Any form of Ragi really!. My entire family loves it. There were times I pack ragi sevai pocket from India. But now we get Anil Ragi Sevai in Singapore itself. 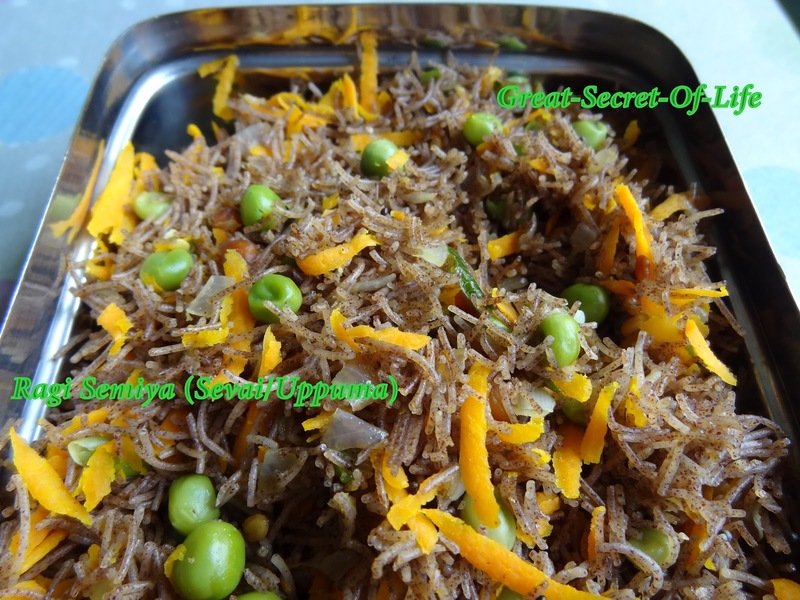 Since put carrot and peas you don't require any chutney go with it. 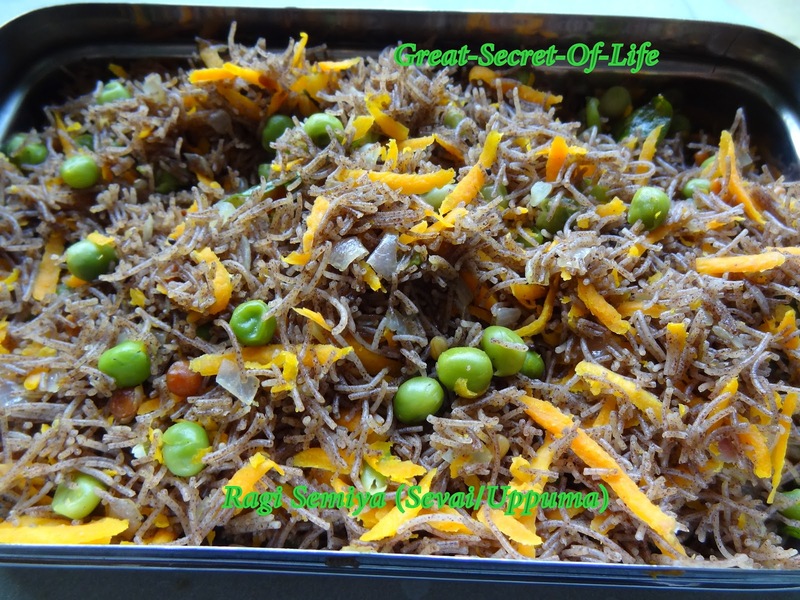 It is very simple dish but taste divine! it is healthy also.. What are you waiting for? Ragi Semiya - 200gm packet. Dip the semiya in a large bowl of water for 2 mins. Drain the water completly and place in an idli tray and steam it for 10 mins. (exactly as we do for Idli's). Now add the cooked ragi semiya/vermicelli and stir well. Reduce the flame to low and cook covered for 2 mins. Add a grated carrot and mix it well.